Discussion in 'SHOW ME YOUR...' started by sicnick, Dec 28, 2010. 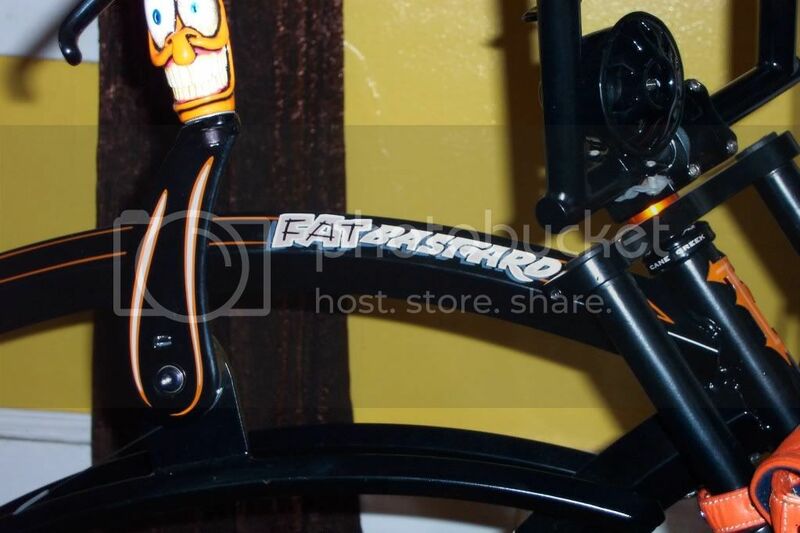 Lets see the diversity of custom made shifters. The handle bar end of a threadless MTB stem cut off. I had a few and tried it out one day and wow it fit. Going to use another one for the foot brake mount on that bike.could have welded or drilled the frame but couldn't make up my mind on location. Brunson67, RustyGold, 1oldbikelover and 5 others like this. RustyGold, Black Top Roller and kingfish254 like this. 8-ball from mini billiard set + tilt knob from old tripod + shimano 3sp shifter = my rat'd out 3 speed shifter! Here's one that I did a few years ago. 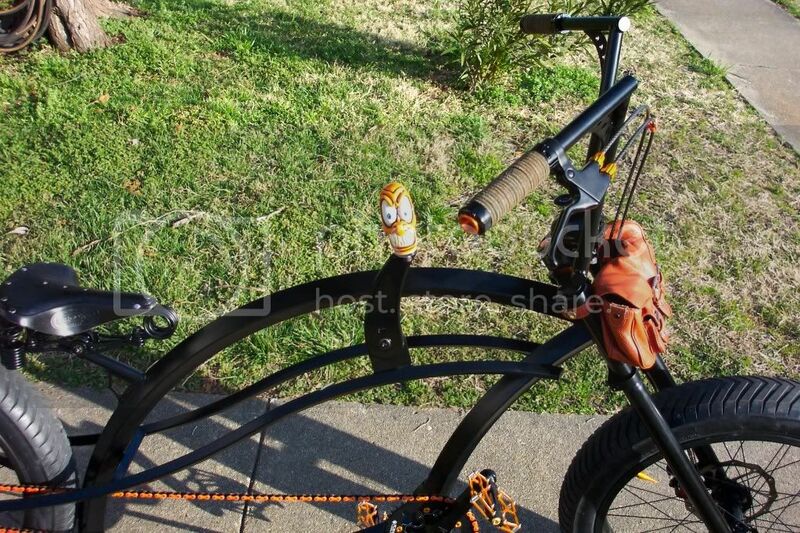 It's not a custom shifter but it looks real kewl... It's a old 5-speed Sting Ray shifter mounted like a 'jockey' shift on a custom 1950 Schwinn 5-speed cruiser. Or this one at this years Detroit autorama. gasser78, RustyGold, Black Top Roller and 1 other person like this. Somewhat primitive in design, but with the "idiot proof" theory applied. This is now 6 years old, and still works just like it should. One up close shot, one from far enough away to see the shift lever. Can you say "suicide?" Not as nice as some of the more machined pieces that have come along in the last few years, but I did what's here with what I had on hand at the time. I don't have any welding equipment so it is a bolt-on piece. Thanks for looking, and HAPPY NEW YEAR!!! not sure if any pictures on this thread include this.....but a lot of these i've seen include chrome/metal housings just off the shift that allow for a quick and sharp bend. The closest thing ive found online are brake cable noodles. Is that what these are or am i missing the right name? XC204, that is a nice piece of work! What are the two 'extra' screws 180deg. apart around the lever pivot?